Something about fall makes me want to wear more mustard colored clothing. This front tie top is from Reformation. I went to their recent sample sale at The Platform. This was my first sample sale, but I admit that it can be a little chaotic if you go around high traffic hours. 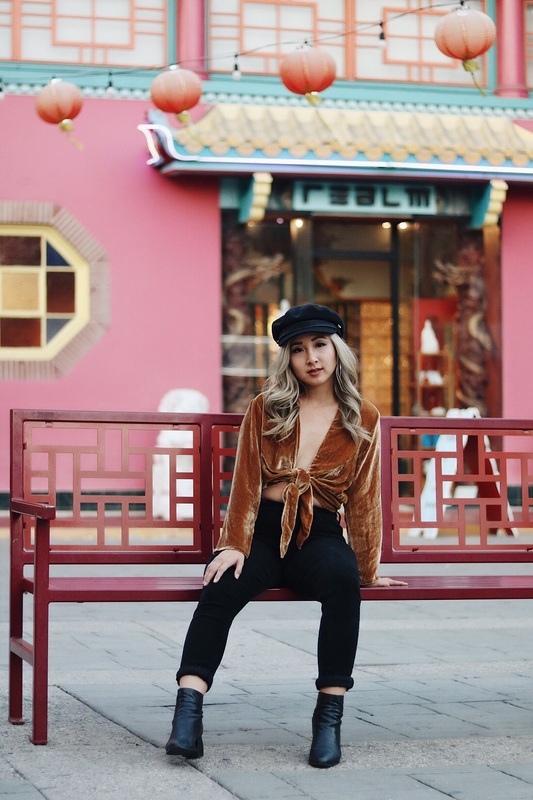 I did find a few pieces that I love, especially this velvet top! I love that it is velvet. I can pair another top underneath, depending on the look that I am going for. This is my Sunday fun day type of look with my blogger friends. This is such a cute top! Adore the mustard colour, as well as the velvet material. Perfect!